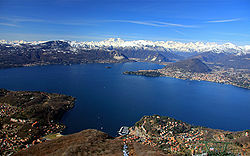 Piedmont is a region in the northern part of Italy. The name means "foot of mountain" (Alps). The capital is Turin. Piedmont has 8 provinces within it. In the north of Piedmont there is the country of Switzerland and the Italian region of Valle d'Aosta, in the east there are the regions of Lombardy and Emilia-Romagna, in the west there is France and in the south Liguria. 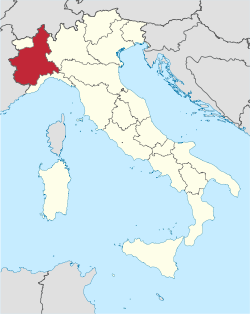 Piedmont was part of the Duchy of Savoy until 1860 when the Duke of Savoy became King of Italy. This page was last changed on 12 April 2019, at 11:39.